Hello. in this occasion I will share the food menu restaurant template designs. This food menu templates themed by hand drawing. the icon picture of the food on the bottom and top design you can change expanded feet according to your needs. 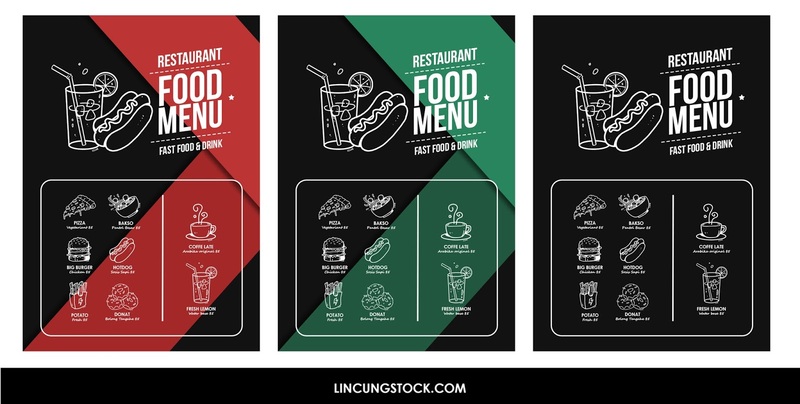 Download icon illustrations of food on the links we provide below. for how to change, you can watch video tutorials below. the video will be long, therefore please skip to minute how to make head design and install food icon. You can also replace the text with the name of the food as you need. in this design we using bebas neue font, please download the fonts on the link below or search on google. to replace the line on a black background, you can double click on the layer of line then change color according to your needs. You can also change the size or position by way of a drag to change position and press CTRL + T to resize and rotate. If you like the clean design, please remove the layer outline color.